Hair design is a combination of craft, art, and heart. 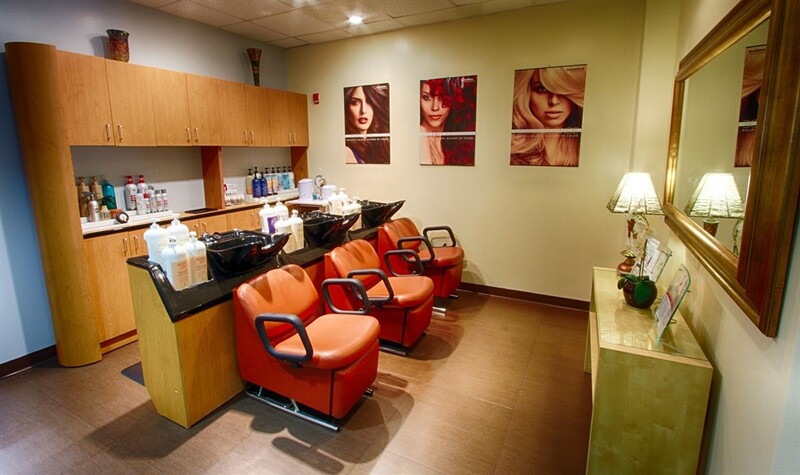 At The Cut & Color Room, our goal is to make a connection with you –– to truly get to know you and your likes and dislikes. Our team brings years of experience –– provided by experience behind-the-chair and continued education –– and each member of our team is fully trained to educate you while serving as your beauty adviser. Our commitment to you is that you'll not only look great leaving the salon, but that you can recreate your style at home. We use only the best professional products available –– all ready for you to take home and help you maintain your look. *It is important to note that all prices featured on this page begin at listed prices. Pricing may be adjusted based on the length and thickness of the hair. Pricing may also be determined by the demand for a particular Team Member. To ensure prompt service, please be on time or even arrive a few minutes early for your appointment. We do our best to confirm your appointment by email at least 48 hours in advance and by text 24 hours in advance. We will also confirm by phone if you have not confirmed by clicking the 'confirm' button in the email. If you are unable to keep your appointment, please call 24 hours in advance to avoid being charged a cancellation or "no-show" fee of $25.